On tv I see the best athletes of the world, painting with their edges lines on the snow as poetic as the verses of Shakespeare. It has been seven months since the last time I did the same. Maybe my edges were not painting like Michelangelo and my moves not as smooth as Baryšnikov’s, but my passion was there, as big as theirs. Today I am in London, miles away from the closest hint of snow, my skis are at home, sharpened and waxed as if tomorrow there was another race. Tomorrow there will be none, nor the day after, nor the one ahead…truth is that there won’t ever be another. It is very hard to come to this conclusion, because since I was as tall as a bonsai I’ve dreamt of being one day the best of the world and bringing home an Olympic gold won in downhill in front of home crowd in Tarvisio. Childish? Yes, but it was a strong desire, as strong that I decided to grow up early and once 15, move out of home and live and study in a ski college. But I still remember the time I broke into skiing, I was far from being good, I was quite a disaster actually. My brother was the champion, I was more the likes of a mascot. It looks better than it actually was back then. Yet, even when results were not there, even when no one else was believing in my chances, my brother would. He has always thought I had what it takes, even though he would have never told me straight, he is not the kind. Soon I started to believe in that too and fast from closing the rankings I started collecting my first podiums and being talked not only for being “his brother”. The first year on the international scene has been something I will always remember. It was a mess, one of the most horrid winters I’ve ever seen: warm, rainy and chanceless. We all beginners had no ranking first and whenever we could make it to an entry list, bibs were always with 3 numbers and more often than not the first was a 2. Even the very best of my age were struggling to make a breakthrough. I hit some form late in the season, I always did, no idea why. But in training things were going well, I was feeling like never before and when the regional team called me to go and race with them in Austria for some speed events I was higher than cloud nine. 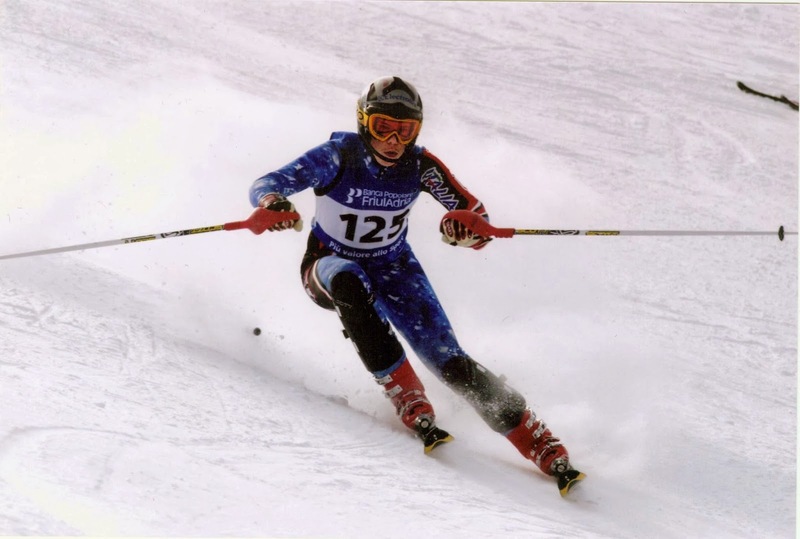 I forgot to tell, ever since I moved my first steps in the world of snow I was classified as a “slittone”, meaning sledge, Italian skiers’ slang for gliding specialist. Maybe because of my big body, maybe because of some natural talent, I’ve always produced my best whenever the slope would go fast and the gates further. For this reason I was sure to be speed racer, for this reason my dream was an Olympic gold in downhill. With some school mates training. I couldn’t believe how ironic could my weekend be that time in Innerkrems. In 48 hours my career somehow began and crumbled. We had a superg the first day, I was euphoric, I can’t remember much of that race, I remember only a massive and horrible mistake on a very flat section, the rage in my heart trying to make up for that in the last gates and the surprise watching my time. I was one of the best of my age in that race, despite the error, despite my being a no-one. The fairytale lasted short though and it ended in 24 hours, when on the same slope we were all doing the last training run before the downhill race. It was snowing and it was quite dark, I was overconfident and decided not to give my 100% in the last two gates. Isn’t it ironic? The day before I gave my heart and soul on the same section, that day not even half of it. Suddenly something happen, an edge grips on the fresh snow, the ski follows and so does the rest of my left leg, while the right one and my body still aims at the finish line. I scream. I can’t even cry, I feel too much pain to cry while my body rolls down crossing the finish line. Eventually, further tests showed that the damage was not as big, but my recovery was far from easy anyway. Same day, March the third, one year later. I am at the start of another speed race, National Junior Championships. My bib is good, despite the season has been far from exciting. Still, I know I can make it, my brother knows it as well and this time he tells me. For this reason he has taken his car and came all the way up to watch me. 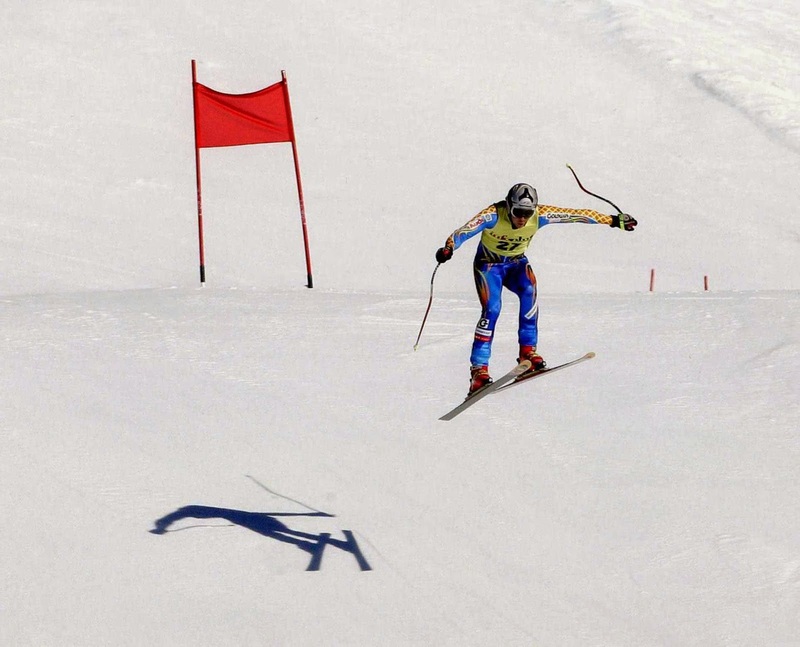 I love the slope and the setting, there’s only one passage, one jump, for the rest I feel terribly confident. I am a terrible jumper, but I know I can do it, I’ve done it already, 20 meters, I can do it, 10 meters, I will do it. 5 meters, I…am flying, without control. I am scared to death. In few seconds I see the ground far below me, I remember the helicopter, I remember the doctors, the pain and all the effort to come back. ‘Not again.’ I think while I do not know how I avoid crashing against the ground and after almost 40 meters from where I departed, I land and continue my race. My mind is elsewhere and when I cross the finish line I am still in a status of shock. It is not the podium I dreamt of, but the result is quite good, but I cannot realize it. I am shacking, can’t really speak. My brother comes and all I can say is ‘I am fine’ before crying on his shoulder. That evening in Falcade, while doing my jogging I stopped in the church and fired my first and last candle ever for something related to skiing. For stupid it may seem, I was glad I was still on my legs. I basically laugh at his face and so do most of the people I told this, funny enough a few later he will be my coach and he proved me how right he was. The following season is ok, nothing amazing, but I had a couple of nice runs here and there and I feel like I am ready to step up. I change brand of skis and for every step I thought of doing ahead, I do two backwards. Nothing works and my body refuses to collaborate as well. I am found a genetic problem at the back, I am forced to retire often, I am training little and my mood falls as low as my world ranking. As the last slap in the face, I fail to pass the ski instructor selection, while most of my friends go through. I am sick of trying for nothing, my results are worse than in my first year, my body feels like the one of a man in his 80s and I can not find any reason why I should go on. I am out of my ski college, I got my highschool diploma and soon I will start the uni, but in July I take a trip around Europe with two of my best friends and out of nowhere one of them, Ele, tells me she has joined my ski-club as her coach has now signed with them. 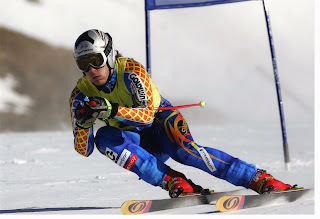 He is Sandro, the guy who told me about being a slalom specialist. For some obscure reasons I feel like skiing again. Without trying it, I get a new brand of skis for the season and train little in the autumn, but most of those days were the best of my life. I don’t remember whether I was skiing well or not, but I was having some of the greatest fun ever on snow. It suddenly was like when as a kid I was racing with my brother and dad during holidays. Skiing was fun, again. The first race of the season I am set to be a forerunner. After the horrible season just passed, my world ranking is not good enough to enter the field. But I do not particularly care, I have trained seventeen days only in the past four months and I am up there only to do a bit more training. Sandro comes back from the jury meeting late. A guy called sick at last, so I got a last minute number for the next day. I am barely top eighty of the race and the snow is soft, meaning that I will race luge rather than skiing. At the bottom of my run I am not happy with myself, I know I have been skiing better in the previous days. Then a team mate calls me to reality, I am almost top ten. I am shocked, but I don’t feel the pressure going for the second run, I find the whole thing extremely funny. Not long ago I did not even know if I would have raced anymore and now I was as high as never in slalom! The second run is again a good one, I finish eight and I crush my best ever result, not only in slalom, but in whichever race. The second race follows almost the same track and immediately my world ranking sets me as one of the best of my area. The season goes on like in a dream, a fairytale that brings me to three achievements that I never thought possible before: I beat my brother’s career best ranking, I become the first skier from my city to race under 40 points FIS and finally I win my first international race. Suddenly everything works and I score amazing results even in the hated Giant Slalom, where I end up collecting the most of my podiums. 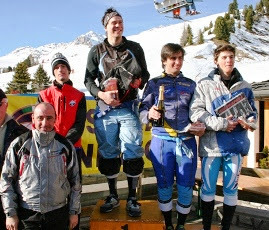 The season ends in a bittersweet taste as I completely screw my chances at the Italian Championships in slalom, while in downhill, my second in over three years, the possibly amazing result has been diminished by the warm temperature and so a slower track on the latest part. I was 18th at the last intermediate. I end the season thrilled anyway and as an addition I finally pass the ski instructor entry test. 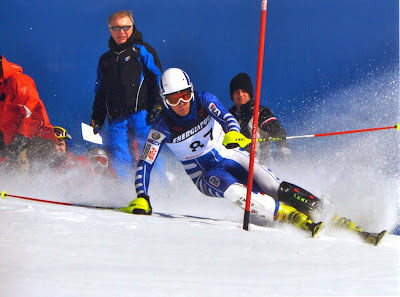 The following season is solid, it lacked the peaks of the amazing one just passed, but it is expected…I am tired and not fully focused having my time divided among ski races, ski instructor course and university. The best moment was definitely representing Italy at the World Citizen Championships in Garmisch Partenkirchen, despite racing not at my best. Last season, my last season I can really call it now, feels strange. I immediately feel tired, but differently from ever before. At the races I am almost always one of the oldest, I am not a junior anymore and I have to travel alone for half Europe to race. I am not skiing badly at all, but results fail to come and it always feel more and more tiring to train, to travel, to race. Then in February something happen. In my favourite ski race of the year, the night slalom of Zoldo, Citizen Ski World Cup, I feel like two years back in time and in my eyes there’s fire while racing down the first run. I am first. With more than half a second of gap on the rest of the field. Like that day when my new career started I don’t feel any pressure, I find it funny and when I start the second run it feels like my night. I know it’s my night. I am fast, I know I am faster than anyone before me, it is just few gates…I can see the finish line, I can feel my family counting the seconds, I can feel my coach holding his breath. Suddenly there is a sense of emptiness in my stomach, as if I was falling. I am falling. My boot hit on a bump and is dragging me to the white hard ground of a defeat. The biggest. I get back on the course, I know it is too late, but I want to finish the race. I want to see the first run’s time next to my name. That night in Zoldo, I felt great again. I don’t stop at the finish line, I just want to disappear, I want to be anywhere else. One should not, but I feel, I know that I have just wasted my last chance and suddenly it’s over. I try to laugh at my bad luck as I go back on start to get dressed, then I reach my coach and expect him to shout at me, I wish he does. But he knows I have been punishing myself enough, he feels as torn as I do. He probably knows, like I know that this was the last call. If I have a regret in all my career, that night I got one and no, it is not my mistake in the race. I regret not having hugged my coach and told him that he has been amazing, over the years like that night. In a few weeks I am called upon my last train for my pact with myself, the Italian University Championships, but as a deciding last epitome to my career my left knee decides not to hold together anymore. I collapse on the side of the race as my knee swells. I try a few more races with a kneepad, but it is useless, it is not only my body crying for a break, my mind too. Half a year has passed now, over the summer I have become a ski coach, now I am in London studying sports journalism. I don’t dream of winning the Olympics anymore, but I still dream of going, as a journalist this time. I am happy of my choice and when looking back at all those years I am proud of what I achieved and I feel lucky having had so many amazing persons on my side. But before definitely going on I felt the need of writing the words “the end” and despite my status on the FIS site says active, I officially am calling it a career.